Welcome to volume #1 of Dear Shark Man, an advice column inspired by a ridiculous e-mail I received. You can send your questions to me via twitter (@WhySharksMatter) or e-mail (WhySharksMatter at gmail). Is this good news? It seems too good to be true. A few weeks after they were listed as Vulnerable on the IUCN Red List, giant manta rays (Manta birostris) have received major international legal protection. The Parties to the Convention on Migratory Species of Wild Animals (CMS) just agreed to list giant mantas on Appendix 1 and II of CMS at their tri-annual meeting in Bergen, Norway. 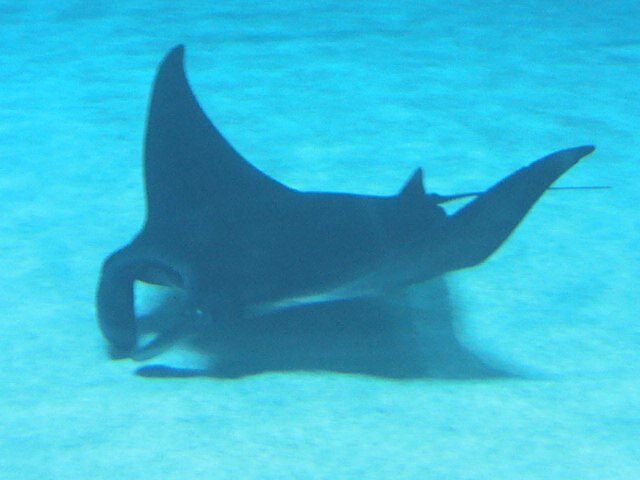 An Appendix I listing requires that any of the 116 CMS Party nations who have giant manta rays in their waters to protect them along with their habitat, while an Appendix II listing encourages global and regional cooperation. This proposal was introduced by Ecuador, and was supported by the European Union, United States, Australia, Senegal, Madagascar, Mozambique, Chile, and Uruguay. This year’s host country, Norway, also supported the proposal and proposed discussing the reef manta (Manta alfredi) at the next CMS meeting in 2014. Giant mantas (the giant is appropriate as they can grow more than 7 meters across) are the target of directed fisheries for their gill rakers, which are used in traditional Chinese medicine. Their large size, predictable movement patterns, and relatively slow swimming speed makes them easy to catch, while many of their widely-distributed subpopulations number only a few hundred individuals. A listing under CMS appendices I and II is a welcome first step in the conservation of these gentle giants.